ORLANDO (REUTERS/AFP) - Police using boats, divers and a helicopter on Wednesday recovered the body of a two-year-old boy after an alligator dragged him into a lagoon in front of his family during a vacation at Walt Disney World in Orlando, Florida, CNN reported citing an unnamed source. The child was snatched as he played at the water’s edge on Tuesday night, despite his parents’ efforts to save him, by an alligator believed to be between 1.2m and 2m long. This latest incident shows how dangerous it can get when humans and animals interact, even in the relative safety of a theme park or zoo. We look back at five other times when visitors got too close to animals in their enclosures around the world. A viral video captured the terrifying moment when a lion attempted to attack a two-year-old boy at the Chiba Zoological Park in east Tokyo in June. The boy, who had been observing the big cat through the safety glass, is seen turning his back to face the camera. Within seconds, the lion - estimated to weigh over 180kg - bounded from the far end of its enclosure to the boy, slamming into the glass as it pawed at the child. A two-year-old boy fell about 3m into a cheetah exhibit at Cleveland Metroparks Zoo in April 2015 after his mother dangled him over the railing. Luckily, the toddler was saved in the nick of time by his parents who jumped into the enclosure and rescued him. 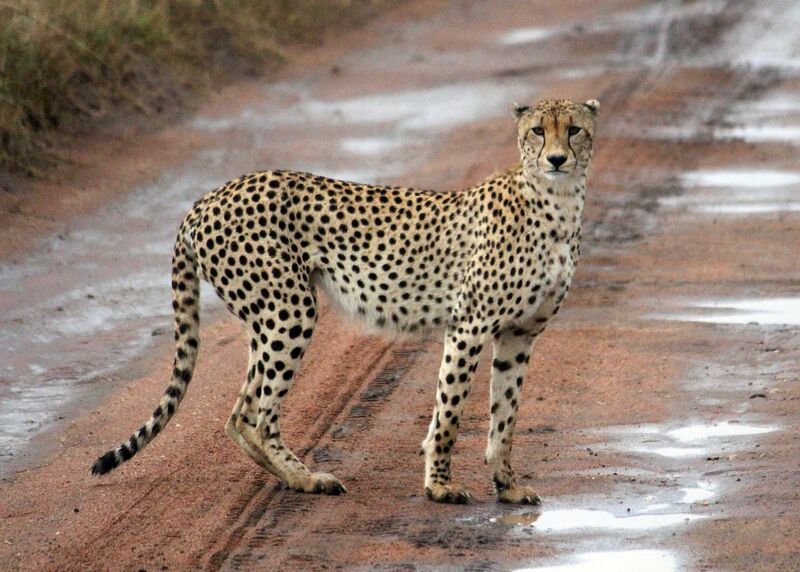 The zoo's executive director said the cheetahs did not go near the boy and his parents, reported The Guardian. The boy injured his leg in the fall. Mr Maqsood Khan, 20, was mauled to death by a white tiger in September 2014 after falling into a moat in the tiger enclosure at New Delhi's National Zoological Park. Zoo director Amitabh Agnihotri said Mr Khan had actually "crossed the standoff barrier of the white tiger enclosure" and "jumped into the enclosure," rather than falling in, The New York Times reported. 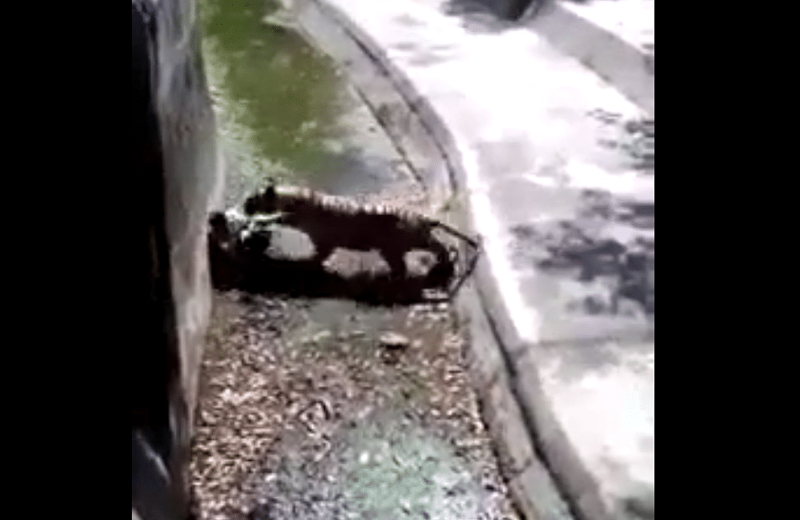 However, according to The Independent, witnesses said the man was throwing stones at the white tiger while standing on the edge of the barrier when he lost his balance and tumbled into the enclosure. Onlookers tried to distract the tiger by hurling stones at it, but Mr Khan, who was said to have mental problems, was seized by the animal and killed. 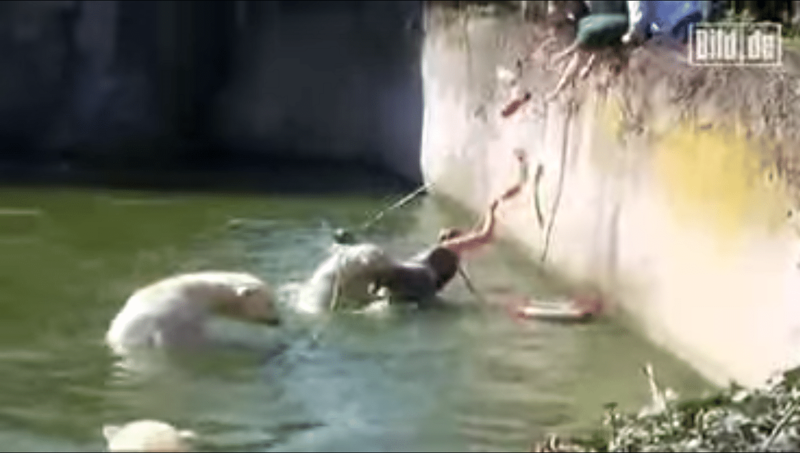 In April 2009, a woman entered a polar bear enclosure at the Berlin Zoo by jumping a fence during feeding time. She was seen thrashing in the moat of the enclosure while being attacked by one of the bears, who was reportedly biting her rear end. Rescuers pulled her out of the moat and she was treated for severe injuries. 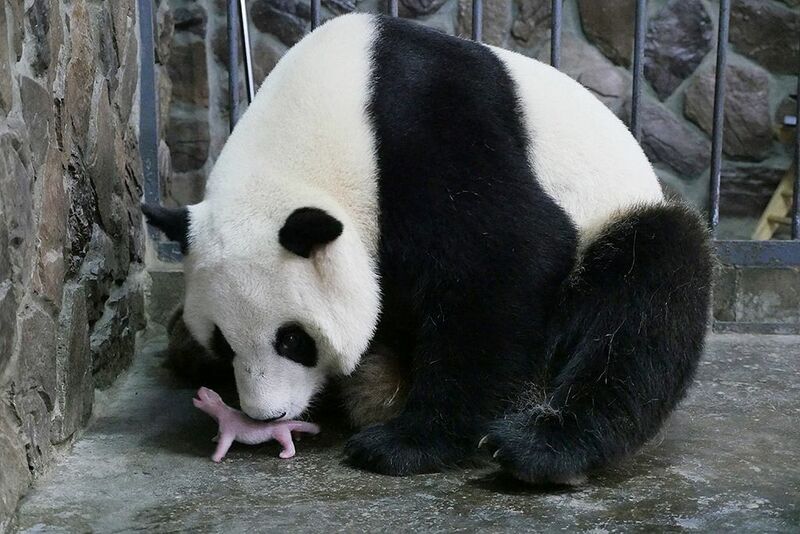 GuGu, a resident panda of the Beijing zoo, attacked a tourist from China's central Anhui province who entered its enclosure in January 2009. The man, identified by Beijing News as Mr Zhang Jiao, jumped the barrier to retrieve his child's toy and the panda mauled both of his legs. Zookeepers rescued him from the panda's jaws. Mr Zhang survived but had to have surgery for his badly injured legs.